Thank you both for your suggestions! I need to get to work on this. 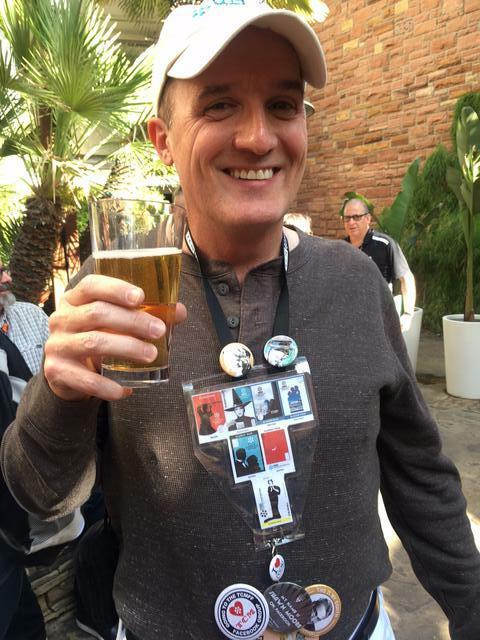 The Silver Screen Oasis membership is always well-represented at the TCMFF. Anyone ever spot a Ben Johnson fan there? The following 4-day blocks are unavailable at the Hollywood Roosevelt : March 1-4 and April 26-29. Last year's announcement came on Thursday, August 25. Last year's announcements came in email, on Twitter (@tcm & @tcmpr), Facebook, the TCM Website and others. I believe that the very first notice came in an article from Scott Feinberg at The Hollywood Reporter, and another came on deadline.com. Please feel free to correct me, friends of Sue Sue! Jane Fonda, TCMFF special guest, is teamed with RRRrrrrrobert Redford, again. Redford's back and Fonda's got him. Jane Fonda, a TCMFF special guest a few years ago, is teamed with RRRrrrrrobert Redford, again. Redford's back and Fonda's got him. Be on alert, folks! 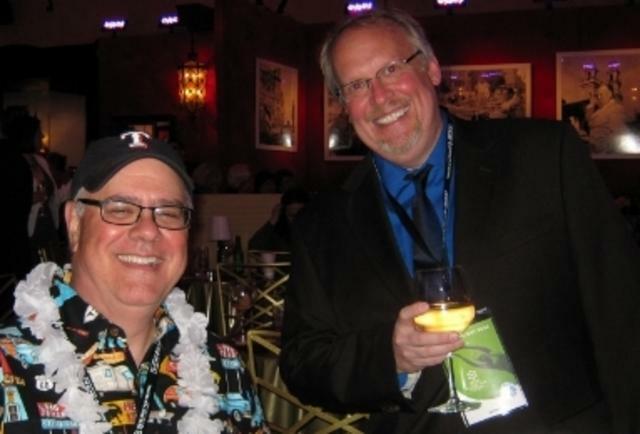 An announcement about the TCMFF may come at any time! 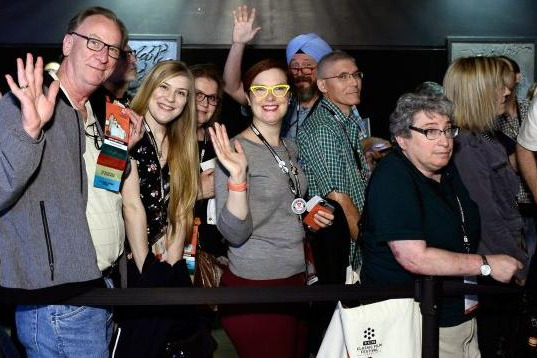 Festival to explore "Powerful Words: The Page On-screen"
TCM Primetime Host Ben Mankiewicz, Saturday Daytime Host Tiffany Vazquez, VIP guests and classic movie fans from around the globe will gather for the ninth annual TCM Classic Film Festival in Hollywood. April will be here before we know it, and Lucy and Ethel will be foisting their shenanigans on the unsuspecting revelers in Hollywood! It won't be long until we will be purchasing our passes for the TCM Film Festival 2018. 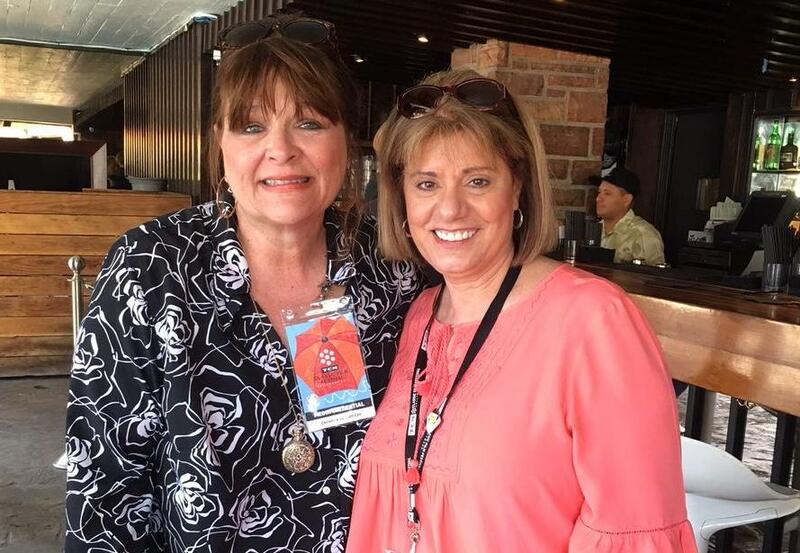 This is a TCM fan from Tampa, Florida, that I met on the Wednesday afternoon get together before last year's festival. She says she ALWAYS reads Sue Sue's columns! We're hanging out at the Hollywood Roosevelt Pool Bar, and as Jane Austen would write, "There are lots of friends to be met!" This year's theme is Powerful Words: The Page Onscreen- Writing focuses visions, reflects our feelings and inspires great performances on both sides of the camera. Join us for the 2018 TCM Classic Film Festival, celebrating the representation of the written word on the silver screen. From original screenplays to unique adaptations to portrayals of writers real and imagined, we will celebrate the foundation of great film: the written word. I don't know if we'd see any adaptations of Jane Austen's works, but we might see powerful screenplays. Night of the Iguana, Sense and Sensibility with Emma Thompson and Kate WInslet, Othello with Lawrence Fishburne and Kenneth Branagh, Young Bess, Julia with Jane Fonda, Tennessee Williams, at least on Biblical epic, Blade Runner, Private Benjamin with Goldie Hawn, All About Eve (again), A Letter To Three Wives (well, powerful words as a theme is no good without at least one Joseph Mankiewicz script. Fahrenheit 451 (Julie Christie), HEAVEN KNOWS, MR. ALLISON! Pass holders in line...patient and sociable! 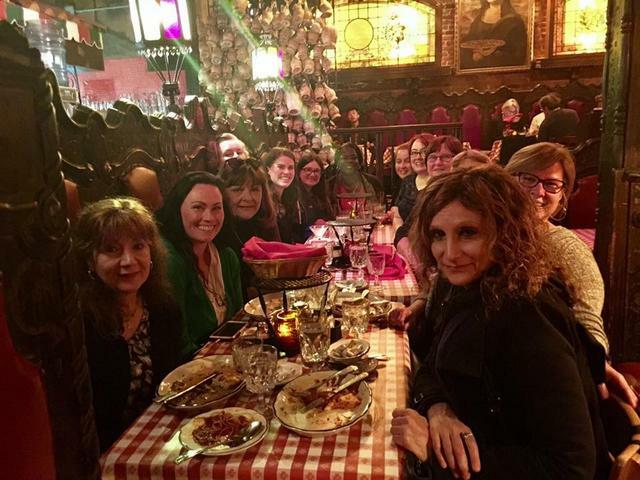 Pass holders invade Miceli's Italian restaurant! All Singing! All Talking! All Laughing! Hurricane Harvey kept me busy for awhile. Glad to be back! 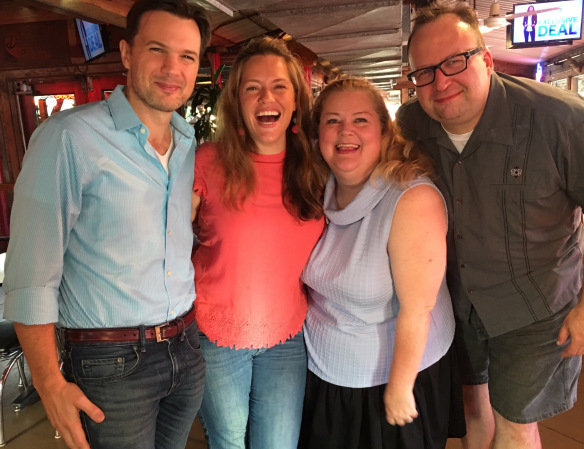 This Wednesday, September 27, is the last installment of Ben Mankiewicz's historic visit to residents of the Motion Picture and Television Fund home. 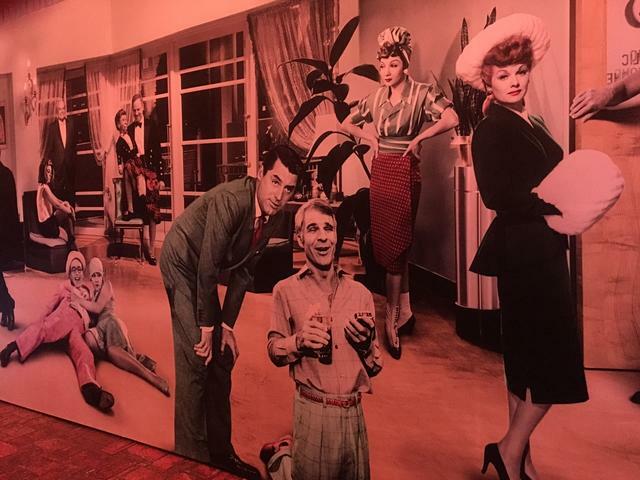 "Since its dedication in 1942, the Motion Picture & Television Country House and Hospital has been home to hundreds of residents who once worked in the movie and TV industry. Scores of movie notables, along with extras, backlot workers, security guards, secretaries, and others, have live in comfortable retirement at the facility on Mulholland Drive in Los Angeles. TCM celebrates the legacy of the Motion Picture & Television Fund with a series of films co-hosted by residents of the retirement home. Film extra Judy Woodbury co-presents My Fair Lady (1964), one of countless films in which she appeared. Character actress Connie Sawyer, who claims to be the oldest living member of the Screen Actors Guild as she approaches 105, helps introduce A Hole in the Head (1959), starring Frank Sinatra. Sawyer has a small but scene-stealing part in that film as an intoxicated hotel guest. ""On a Clear Day You Can See Forever" (1970), starring Barbra Streisand, Yves Montand, and Jack Nickolson, is co-hosted by Burt Bluestein, who served as the movie's second assistant director. Film researcher Lillian Michelson co-presents Harold and Lillian: A Hollywood Love Story (2015), Daniel Raim's documentary about the life and work of Lillian and her late production-designer husband, Harold. The couple left their mark on classics by Alfred Hitchcock, Steven Spielberg, Stanley Kubrick and many others. Celebrated director Mark Rydell speaks about his film Cinderella Liberty (1973), starring James Caan. Rydell's other credits include 1979's The Rose and 1981's On Golden Pond. Other films in the tribute include Little Annie Rooney (1925), Heidi (1937), Sealed Cargo (1951), McQ (1974), Doctor Zhivago (1965), and Showfolk (TCM Premiere, 2014)." Don't miss this last installment! Coming up in October: Illeana Douglas hosts Trailblazing Women, the third year of programming on TCM highlighting women filmmakers. TCM FILM FESTIVAL 2018: PASS PURCHASES COMING UP IN NOVEMBER! It's our very own lzcutter!! 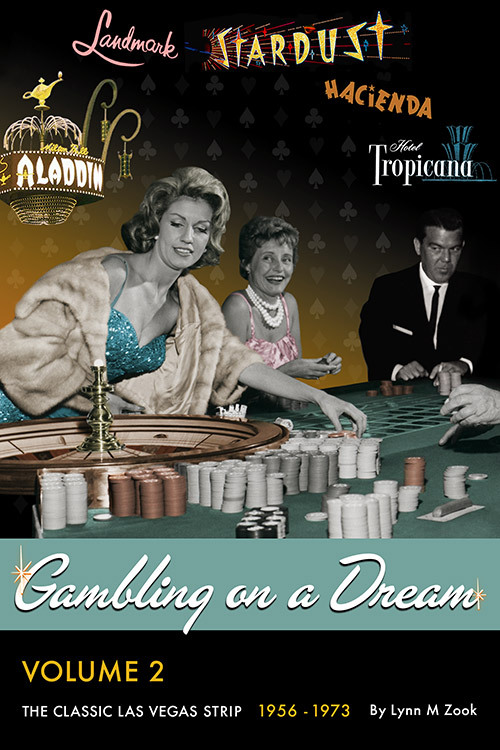 Callie Khouri is the creator and executive producer of the critically acclaimed drama, Nashville, and the Oscar Award-winning screenwriter of Thelma and Louise. Crowned “the best new drama of 2012” by outlets including USA Today, TV Guide, Entertainment Weekly, TIME Magazine, The New York Post and The Daily Beast, Nashville earned Golden Globe nominations for its lead actresses and a Writers Guild of America nomination. Khouri led the show as its creator and executive producer for four seasons from 2012 to 2017. Khouri may be best known for galvanizing women and sparking nationwide debate in 1991 with her screenwriting debut, Thelma and Louise, which was nominated for six Academy Awards. She won the Oscar, the Golden Globe, the Writers Guild of America Award and a PEN Literary Award for Best Original Screenplay. Thelma and Louise took home the London Film Critics Circle Award for Film of the Year, and was nominated for Best Original Screenplay by the British Academy of Film and Television Arts. Khouri followed Thelma and Louise with 1995’s Something to Talk About, starring Julia Roberts, Dennis Quaid and Robert Duvall. She then made her directorial debut with Divine Secrets of the Ya-Ya Sisterhood, starring Sandra Bullock and Ashley Judd, which she also adapted for the screen. In 2006, Khouri collaborated with legendary television producer Steven Bochco and wrote and directed the television drama, Hollis and Rae. Khouri has continues to be honored for her writing in film and television as well as her commitment to the honest portrayal of women on screen. Her accolades include Nashville Women in Film’s 2016 Woman of the Year; induction into the 2016 SOURCE Awards Hall of Fame; the 2016 Patsy Montana Award from the National Cowgirl Museum, which recognizes work in entertainment that continues and advances the tradition of the cowgirl in the areas of film, television, music, writing and theatre; the National Women’s History Museum’s 2015 Women Making History Award; and the Austin Film Festival’s 2013 Austin Distinguished Screenwriter Award. Be ready to purchase passes in early November! Writing focuses visions, reflects our feelings and inspires great performances on both sides of the camera. Join us for the 2018 TCM Classic Film Festival, celebrating the representation of the writtenword on the silver screen. From original screenplays to unique adaptations to portrayals of writers real and imagined, we will celebrate the foundation of great film: the written word. Tonight Maryann Brandon joins Illeana Douglas for another installment of Trailblazing Women in Film. "Maryann Brandon has experience working as an editor, director, and producer in film, animation and television. Her last film PASSENGERS was released December 2016. Her other work as editor can be seen on Lucasfilm’s STAR WARS: THE FORCE AWAKENS, Universal’s ENDLESS LOVE, Paramount’s STAR TREK and STAR TREK INTO DARKNESS, and the DreamWorks animated films HOW TO TRAIN YOUR DRAGON and KUNG FU PANDA 2. She has also edited JJ Abram’s SUPER 8, and MISSION IMPOSSIBLE III and is currently editing THE DARKEST MINDS for 20th Century Fox. She received an OSCAR nomination, EDDY nomination, and won the SATURN AWARD, for her work on Star Wars:The Force Awakens. Other awards and nominations include Star Trek, Star Trek into Darkness, and How to Train Your Dragon. She collaborated with JJ Abrams on ALIAS which she received an EMMY nomination for Outstanding Single Camera Picture Editing for a Drama Series. In addition to editing Brandon served as Director on two episodes of ALIAS, (“The Road Home” &“AfterSix”), and served as the Producer for the fourth season. Her previous feature credits include, JANE AUSTEN BOOK CLUB, A THOUSAND ACRES, GRUMPIER OLD MEN, BORN TO BE WILD, and BINGO." 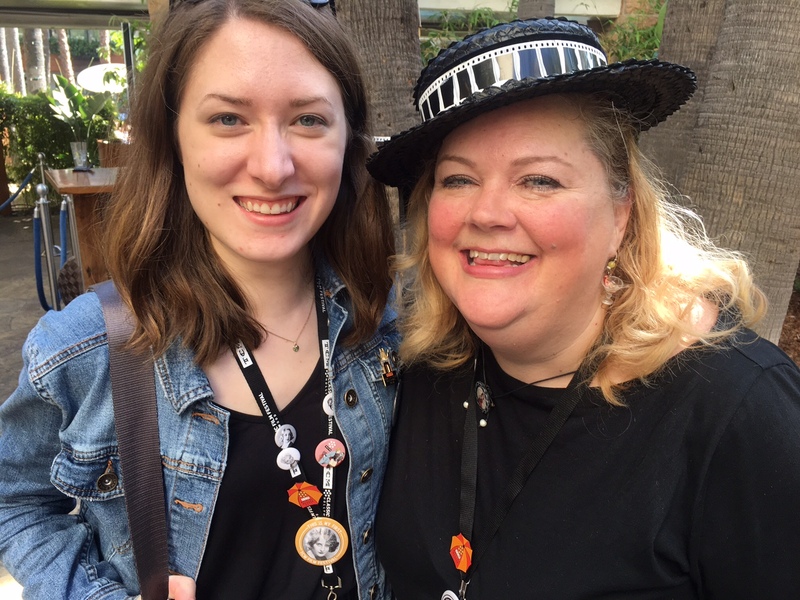 No updates on the #TCMFF2018 website yet, but interested future pass holders know that traditionally pass sales begin in early November. BTW, they don't take any wooden nickels, so save some real ones. 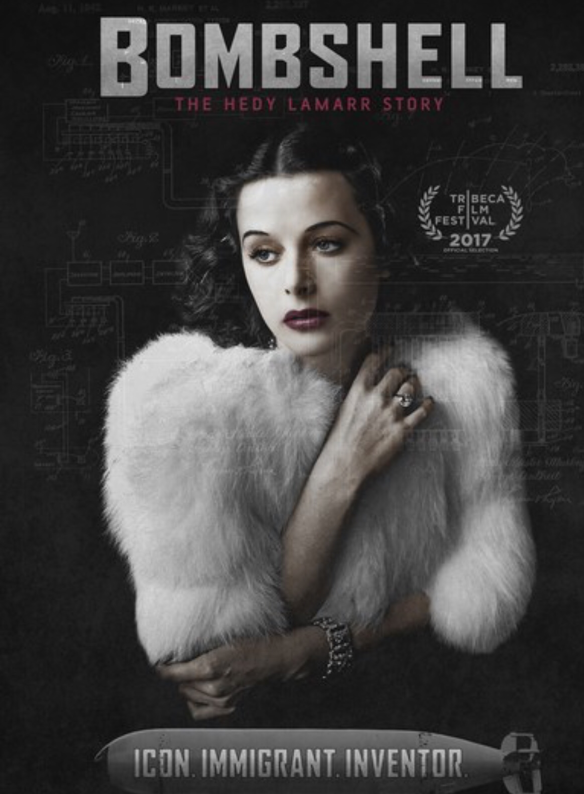 If that fabulous documentary, Bombshell: The Hedy Lamarr Story, screens near your neighborhood, go see it! It's fabulous. Hedy is another Trailblazing Woman. "Lynzee Klingman attended the University of Wisconsin at Madison and Columbia University with a BA in History. 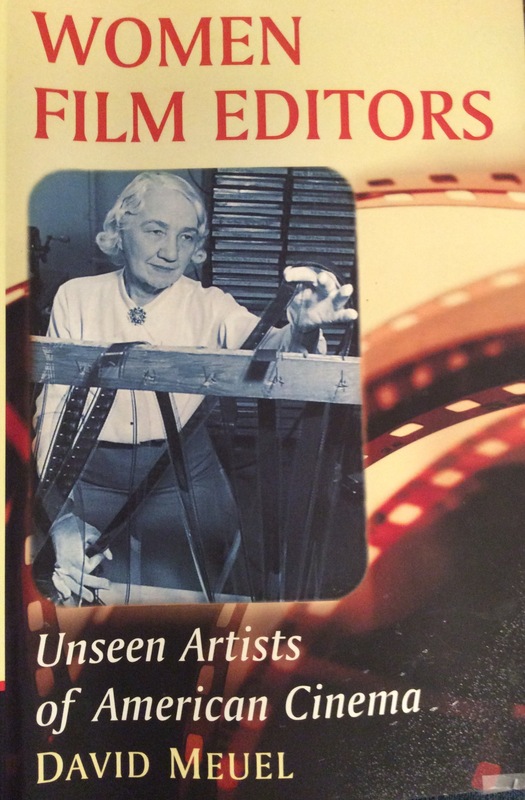 She started working in films as an apprentice editor in New York and went on to work on commercials, industrials and documentaries, including several about the Vietnam War. She edited Emile de Antonio’s (In the) Year of the Pig, which was nominated by the Academy in the Best Feature Documentary category and later, co-edited Hearts and Minds, which won the Academy Award for Best Feature Documentary (and was selected by the Editors Branch of the Academy as one of the 10 best edited films of that year!). 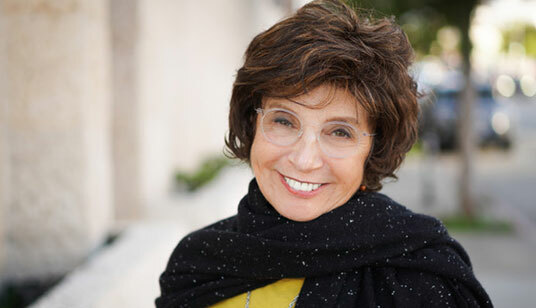 Klingman was nominated, along with co-editors Richard Chew and Sheldon Kahn for an Academy Award for One Flew Over the Cuckoo’s Nest; the film won Best Picture and she won a BAFTA Award. She worked again with Milos Forman on the musical Hair and on Man on the Moon. Other credits include True Confessions, Baby Boom, Outbreak, Protocol, Ali and Robert Redford’s A River Runs Through It. For director Jodie Foster, Little Man Tate, and Home for the Holidays; War of the Roses, Matilda and Hoffa were directed by Danny Devito. Independent films include Picture Bride, winner of the Sundance Audience Award and Living Out Loud, Panic, among others. Over her career, she has contributed to films by Mike Nichols and Alan Pakula (uncredited), been a Consulting Editor internationally with French-Vietnamese director Tran Van Hung and Venezuelan director Fina del Torres,. She has consulted on other feature films as well as documentaries. Klingman was a Governor of the Academy of Motion Picture Arts and Sciences, a member of A.C.E. (American Cinema Editors)the Brooks Currently, she is an Editing Mentor at the American Film Institute and has taught at USC School of Cinematic Arts. For AFS, she has done workshops in Egypt and Equador. She is married to director /cinematographer Richard Pearce and has two children, Jack and Remy." In just about two weeks, passes for the #TCMFF 2018 will go on sale!